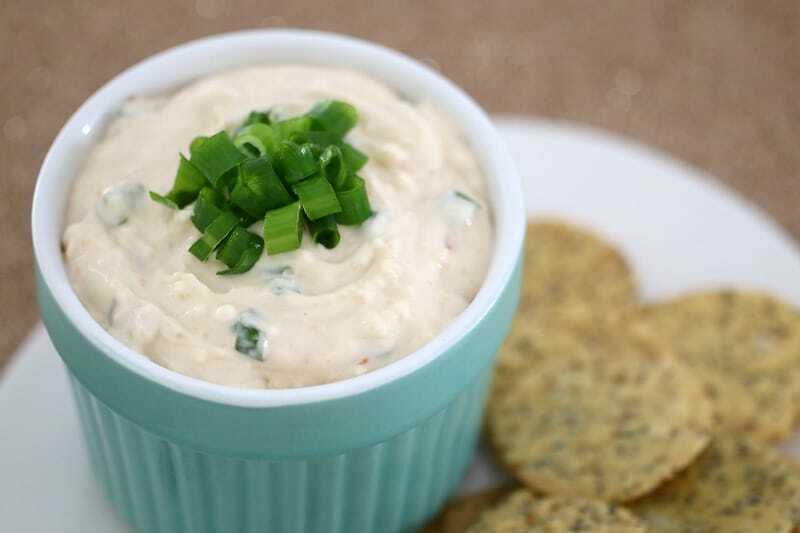 The BEST Sweet Chilli, Spring Onion & Cream Cheese Dip ever!!! 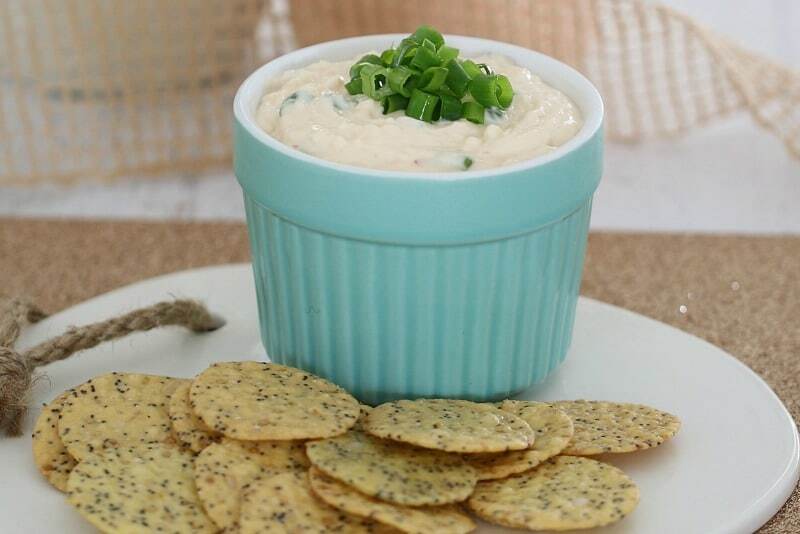 Once you’ve made this classic and simple party dip, you’ll never be able to go back! 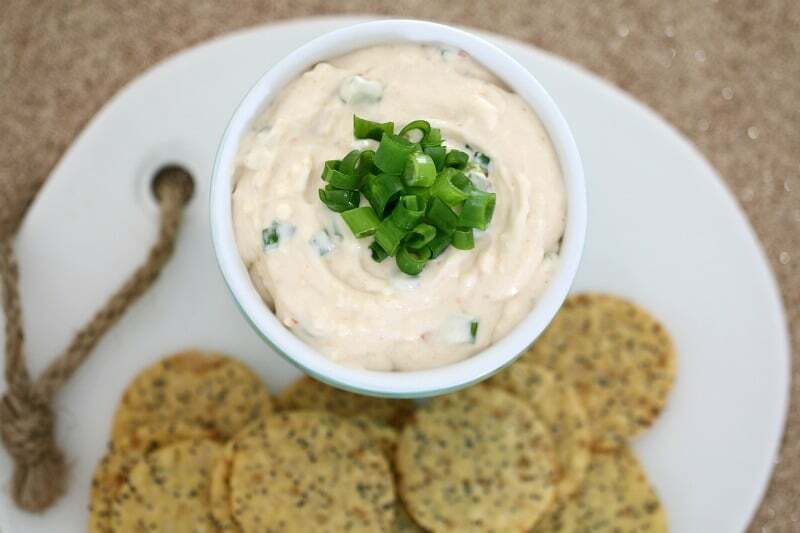 I can honestly say that this might just have to be my favourite dip ever (or at least on par with my yummy hummus recipe). But seriously, it’s that good! I wish I could take credit for this ridiculous yummy Sweet Chilli, Spring Onion & Cream Cheese Dip – but unfortunately I can’t! This is actually one of my very good friends recipes. As soon as I tasted it, I was instantly addicted and NEEDED the recipe. 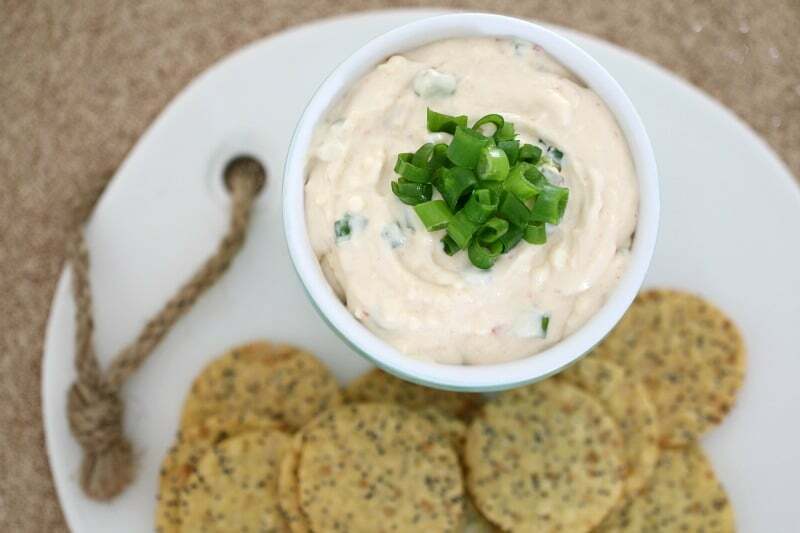 Like all of the best recipes out there, this dip is crazy-easy. It takes less than 5 minutes to prepare (mind you, it takes even less time to gobble it up!) and you can make it ahead of time (super handy when you have friends coming over or are taking it to a party). 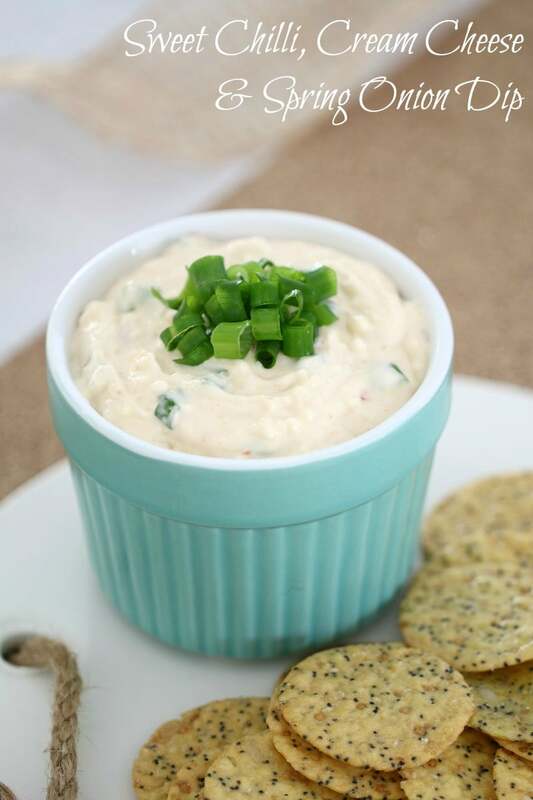 If you want to lighten this dip up a bit, you can definitely use light cream cheese and light mayonnaise. It won’t make the tiniest bit of difference to the flavour – so go for it! 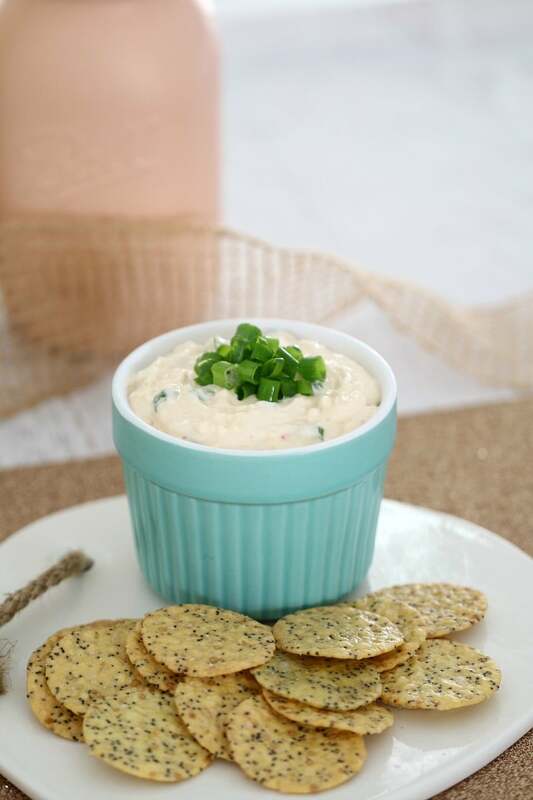 This Sweet Chilli, Spring Onion & Cream Cheese Dip really has become my go-to dip. 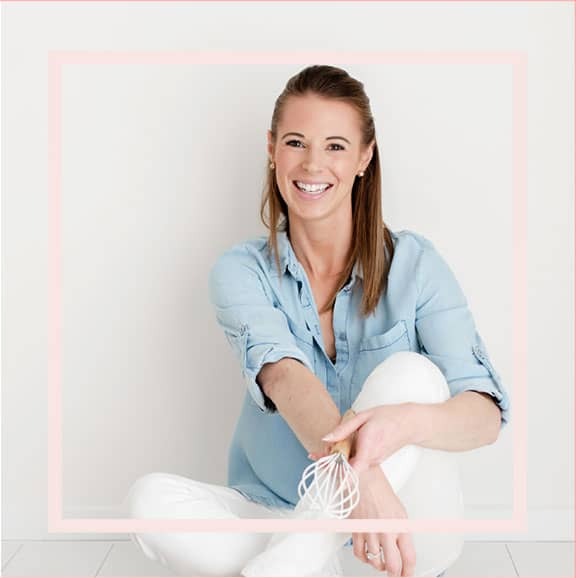 It has so many amazing things about it (umm hello… easy and yummy! ), but one very big negative. It is way too addictive. 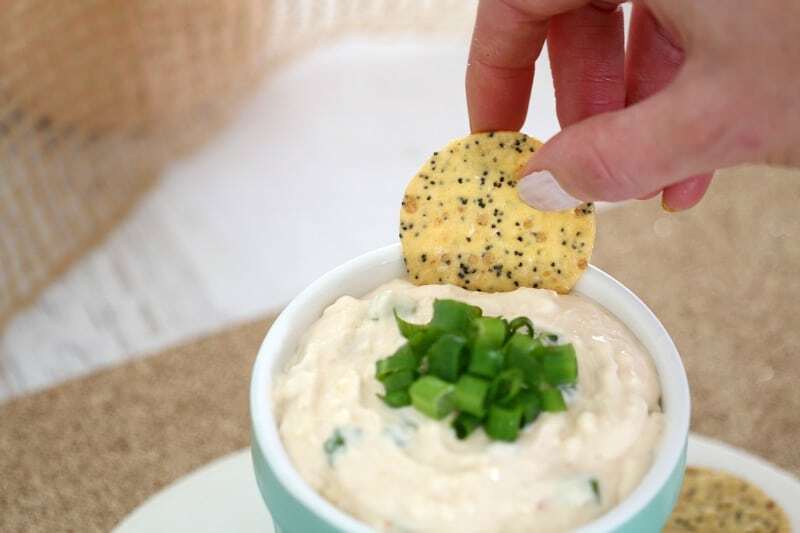 I promise that once you start eating this dip, you wont be able to stop. 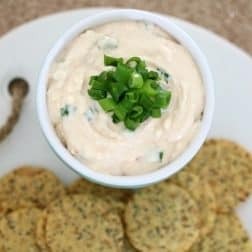 So go on… grab yourself a tub of cream cheese, a handful of grated cheese, some sweet chilli sauce, mayonnaise and spring onions, mix them all together and you have yourself one incredibly delicious party dip (or should I say, a ‘sit in the corner and gobble it all up on your own’ kind of dip!). Grate the cheese and place it into a mixing bowl. Add the softened cream cheese, chopped spring onions, mayonnaise and sweet chilli sauce and mix until completely combined. Taste and add extra mayonnaise or sweet chilli sauce depending on your flavour preference. Serve with crackers and vegetable sticks. Place the cheese into the TM bowl and grate on Speed 8 for 5-10 seconds. Add the softened cream cheese, chopped spring onions, mayonnaise and sweet chilli sauce to the bowl. Mix on Reverse Speed 4 for 20 seconds or until smooth.